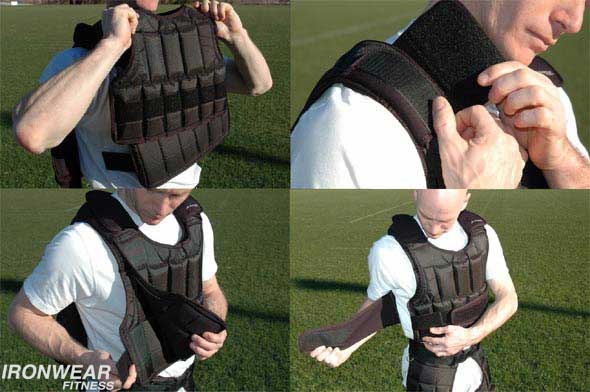 UNDER-VEST™ (short) by itself can weigh up to 25 pounds and the system when combined with the short Uni-Vest™ has a maximum weight of 44 pounds. UNDER-VEST™ Short 25lb. Kit comes with the Short UNDER-VEST™ and 48 Flex-metal™ weights, enough weights to fill two layers of Short UNDER-VEST™ and take the Short UNDER-VEST™ to 25 pounds including the weight of the Short UNDER-VEST™ itself.